Psi Chi seeks participating members who will help the organization meets its goals and, in turn, help you, the participant, achieve your goals. Pay local chapter dues of $10. Miss NO MORE than two meetings. 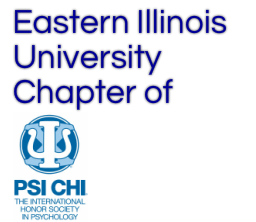 By following the active membership guidelines mentioned above, EIU's Chapter of PSI CHI will pay for your Honor Cords!